Last summer, some friends and I stood outside as we rehearsed for a wedding. The South Texas air was hot and muggy, the sun glared down on us, and after about an hour of standing outdoors, an uncomfortable feeling began to overwhelm me. No one had thought to bring water, so each member of our group began to notice the effects of the hot sun, even the bride. I cleared my throat uncomfortably and envisioned a tall glass of cold, refreshing water. It wasn't long before the only thing I could think about was my thirst. After the rehearsal was finished, we would need to travel for an hour before we arrived at the location of the dinner. Concern hit us, one by one. As pitiful as this may sound, we felt so thirsty that even the idea of sitting in a hot car for sixty minutes longer seemed unbearable. To end my silly story, staff at a nearby building had mercy on this thirsty wedding party and we were all treated to cups of ice before the car ride to dinner. Overall, I was thirsty for only an hour or so. I know nothing of what it is like to be truly thirsty. I know nothing of what it is like to ache so badly for something to drink that I am forced to consume brown, contaminated water – to feed this water to my children and watch them become sick from it – because our thirst is so great. One in six people do not have access to clean water. Every minute, three children die because of diseases brought on by unclean water. We can't bottle up the water in our sink and mail it to the thirsty children around the world, but we can do something even bigger. Christian Relief Fund is working hard to ensure that fewer people have to go thirsty. 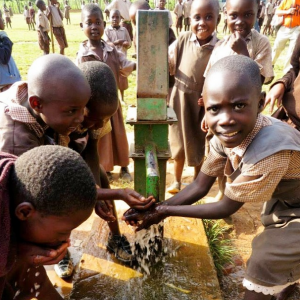 Wells are expensive to drill – an impossible goal for impoverished communities to reach on their own – but people who can achieve this goal standing up to help. In some places in the world, children must walk for miles and miles to get a drink of dirty water. 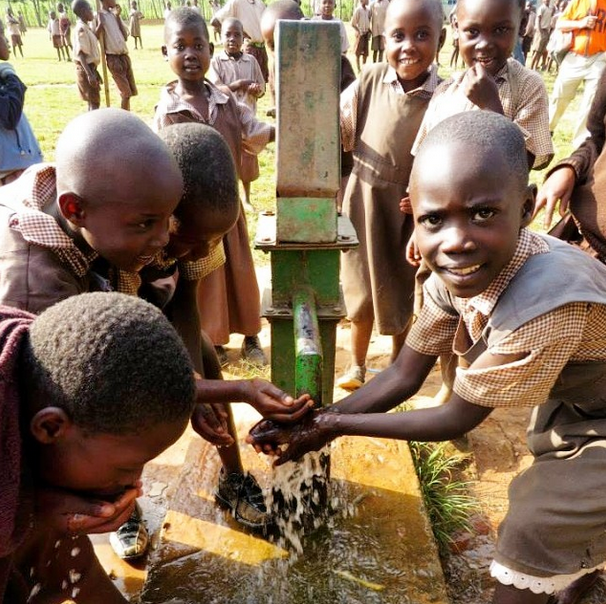 With a well in their community, everything changes. Perhaps the best part of drilling a well in a needy community is another kind of water that it brings. Where wells are created, churches are built. People gather around to have both their physical and spiritual thirsts quenched. And, sometimes for the very first time, they hear about Living Water: Jesus Christ. I am blessed because I do not know what it feels like to be truly thirsty. My moments of thirst have been only minor and brief moments of discomfort. But so many people do understand this thirst. They are waiting for someone to bring water. They are waiting for someone to bring good news about Jesus. Will you help to bring them both? Donate to CRF here. Three years ago: Be Jealous. Four years ago: Write a letter to someone you admire.